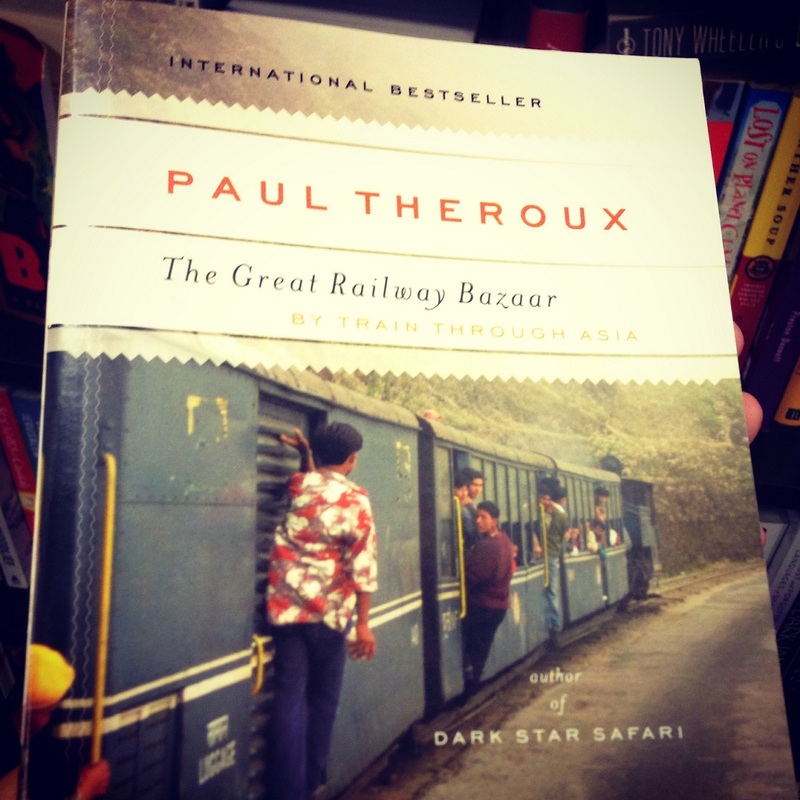 Around four months ago, while killing time inside a bookstore, I saw this book and much as I’m embarrassed to admit, finally made my acquaintance with Paul Theroux. The title was the one that lured me in. And the back cover copy finished me off: “Here Theroux recounts his early adventures on an unusual grand continental tour. Asia’s fabled trains—the Orient Express, the Khyber Pass Local, the Frontier Mail, the Golden Arrow to Kuala Lumpur, the Mandalay Express, the Trans-Siberian Express—are the stars of a journey that takes him on a loop eastbound from London’s Victoria Station to Tokyo Central…” A railway adventure if there ever was one. I have written about my fascination for trains and rail travel in this blog–from finding one’s way in an elaborate railway system during a vacation to surviving the morning rush hour here at home. While I have yet to experience extensive rail travel, and can only dream to see what this ‘architectural historian with a penchant for railroad stations‘ has seen, my infatuation for the railway system remains. 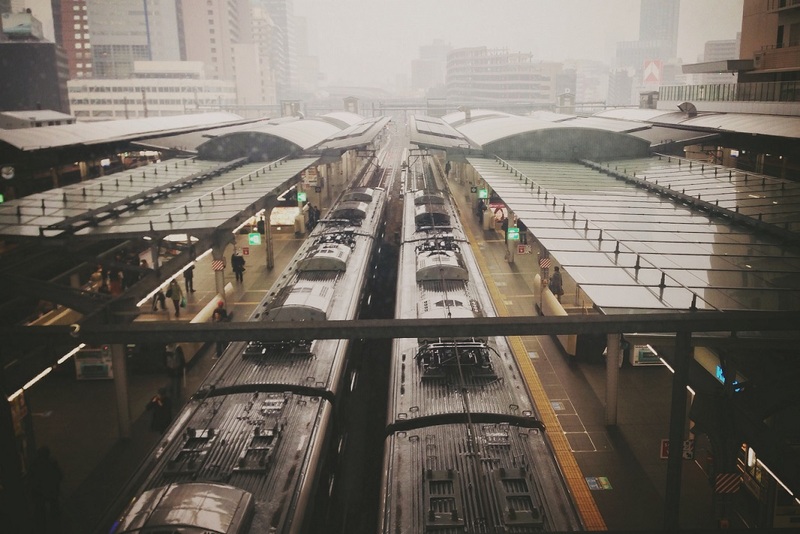 Besides the romance that surrounds train travel, it has to be one of the most efficient forms of mass transit–hauling off commuters by the cars and escaping the horrible traffic on the roads. More than a month ago, the Philippine Railways page in Facebook (oh, why did it take so long for me to know you had a page?!) revealed that new monorail coaches had arrived in the University of the Philippines in Diliman, Quezon City. According to the report, the state university and the Department of Science and Technology developed it–it being dubbed the Automated Guideway Transit System. This is supposedly a morning rush hour in Tokyo (which was one of the few things I made sure to miss out when I got a chance to visit). It is not Manila. But it could very well be–minus the guards pushing the passengers into the train. We, Filipinos, are only too capable of pushing ourselves into very crowded trains, and too eager even that more often than not the logic/courtesy of waiting for the other passengers to get off the train before getting on it seems to escape most. I do think of the above scenario every time I ride the MRT in the morning rush hour. Something which I started to do, twice a week for the past few months for year-long project. Of course, it’s crowded like most commuter trains in big cities, but I still get a bit surprised every time I see the platform at eight in the morning, thick with people. And I think, Okay, you can do this. Time to put on your ‘train face’ and not get pushed around. Oh, how naive I am. While I often wax poetic about riding trains on vacation and having a big idiotic grin plastered across my face, when I ride the train at home during rush hour, the grin is long gone (replaced by stern I-mean-business ‘train face’). I still love how trains make it relatively easier for me to get from point A to point B; I just don’t like how it makes people lose patience and common sense, and sometimes gain a violent streak, during rush hour. Anyway, if you do find yourself braving rush hour MRT madness in Manila, here are a few things that might help for you to come out of it at your right stop and with your shoes still on.